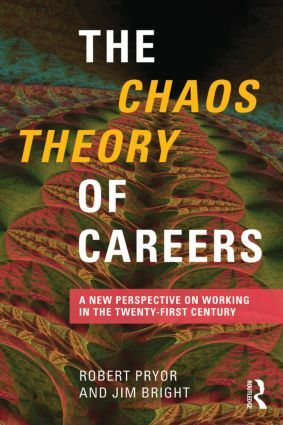 The Chaos Theory of Careers outlines the application of chaos theory to the field of career development. It draws together and extends the work that the authors have been doing over the last 8 to 10 years. This text represents a new perspective on the nature of career development. It emphasizes the dimensions of careers frequently neglected by contemporary accounts of careers such as the challenges and opportunities of uncertainty, the interconnectedness of current life and the potential for information overload, career wisdom as a response to unplanned change, new approaches to vocational assessment based on emergent thinking, the place of spirituality and the search for meaning and purpose in, with and through work, the integration of being and becoming as dimensions of career development. It will be vital reading for all those working in and studying career development, either at advanced undergraduate or postgraduate level and provides a new and refreshing approach to this fast changing subject.